What Is An SSL And Why You Need One Now! 1 What Is a SSL Certificate and How’s It Work? 1.1 When Do You Need SSL? 1.2 Why Are SSL Certificates So Critical? These days well over 3 billion people use the internet worldwide, and with eCommerce being such a huge industry, online security has become essential. Google understands this, and in an effort to protect its users, the search engine giant announced earlier this year that it’ll flag any unencrypted and insecure sites by the end of 2018. In fact, from 1 st July 2018, Google Chrome won’t even display websites that don’t have a SSL Certificate installed. This means Google views about two thirds of the web as being unsafe. What Is a SSL Certificate and How’s It Work? SSL represents “Secure Sockets Layer”. What this does is create an encrypted link between the server and the web browser, allowing internet users to safely pass sensitive information such as credit card details, without those details being hijacked by a third party in the process. Without SSL installed a website is not encrypted. 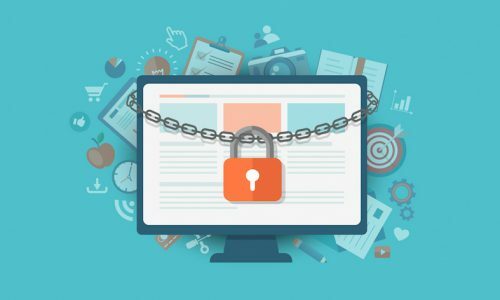 The information of your company won’t be digitally connected to a cryptographic key and therefore vulnerable to internet scammers when data is passed between browser and server. Websites secured with SSL encryption will display “https” at the start of the website address, instead of simply “http”. The browser will also display a green padlock to show the site you’re viewing is secure. When Do You Need SSL? As mentioned earlier, from July 1 Google will release Chrome version 62, which will no longer display websites without SSL. And at the end of this year, when it comes to Google search results, those sites with SSL will always be at the top of search results. Any website that uses any form of text input (this can even include comments) requires a SSL Certificate. Your visitors will start seeing messages stating that your site is “not secure” if you don’t soon install SSL. Why Are SSL Certificates So Critical? Damages caused by cybercriminals will reach over $6 trillion a year by 2021, according to Cybersecurity Ventures. Cybercriminals search for weaknesses and they’re extremely smart. If you don’t have SSL installed, you’ll become a target. One of their favourite methods is creating scripts that capture sensitive information as it passes from browser to server. A SSL Certificate renders this information inaccessible to criminals. To reach the destination server, any information you input gets passed through multiple computers first. This means computers in between yours and the final destination can see that information. With SSL, that information is no longer readable as it travels to the destination server. Your website will get the green padlock in Google Chrome and display “secure” notifications in all browsers. This will establish trust with your visitors, knowing that it’s totally safe to browse your website, input information or make purchases. This also boosts the credibility of your brand. Secure your website with a SSL Certificate today before Google flags your site. Interesting article, Jono. Securing client website with a SSL Certificate today is a must. I always do it for my client websites.